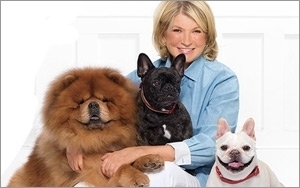 Homemaker and businesswoman extraordinaire Martha Stewart is offering holiday-themed items via her alliances with a large assortment of major retailers including Petsmart, Macy’s, JCPenney, Michaels, JoAnn Fabric, Staples, Amazon.com and The Home Depot. The extensive product lines, available nationwide, aim to make holiday decorating, gifting, and entertaining festive and memorable. For the pet lover, Martha Stewart Pets at PetSmart offers a variety of themed pet apparel, toys, bowls, beds, and collars for the holidays as well as every day. One of the pillars of PetSmart’s strategy and what it calls a key competitive advantage is to have exclusive relationships, says George Puro, a White Plains, N.Y.-based analyst who tracks the pet products segment for Packaged Facts. Consumers respond to a celebrity brand in a retailer if it aligns with what they are expecting from a retailer, says Laura Kennedy, principal analyst with Kantar Retail. Martha Stewart Living at The Home Depot offers coordinated holiday decorating essentials from wreathes and ornaments to trees and garland, and the “Ask Martha” Home How-To Video Series for creating DIY projects using the Martha Stewart Living at The Home Depot holiday collections. Other retailers carrying Stewart-branded items include Macy’s, JoAnn Fabric, Michael’s and Amazon. For the crafter, Michaels, JoAnn Fabric and Craft Stores, and Amazon.com offer Martha Stewart Crafts tools and supplies for packaging holiday treats and making homemade gifts, holiday cards and DIY home décor. Customers can outfit their homes and entertain guests with tableware, kitchen and food prep essentials, bath, holiday bedding, and pillows and throws from the Martha Stewart Collection at Macy’s. Although it may seem to shoppers that Martha Stewart-branded products are everywhere they look, it’s not necessarily a detriment to her retailer partners that she’s in many stores.